Metal Bending & Metal Forming Services - Specialty Alloys and Stainless Ltd.
Three rolls hydraulic bending machine. 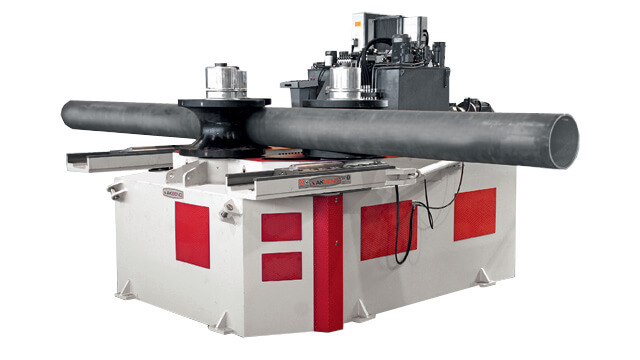 These machines have 3 powered rolls to guarantee proper dragging during the bending procedure. The two side rolls feature a groove on their surface which is able to indicate the right position of the plate & for correct squaring. The use of planetary gearboxes & hydraulic motors results in almost maintenance free equipment & the power goes directly to the rolls without losing power. If your product requires cylinders or more advanced shapes and cones, the AKBend rolls are up to the task. Designed with a stress relieved steel welded frame and high-quality materials for the rolls and bearings, these machines are up to any rolling task. 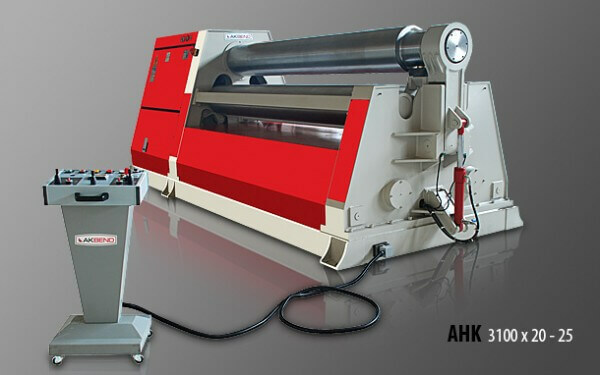 The AKBend machines are available in 3 (AKH) and 4 (AHS) roll models with different working lengths, steel thickness and working lengths..
Special rolls for tubes, profiles and angles, bending H, I, U profiles and spiral bending. AKYAPAK offers a broad range of sizes of large angle bending rolls. All AKYAPAK APK angle rolls have extremely strong frames constructed of welded ST-52 steel. With large roll shaft diameters and oversized bearing assemblies, APK machines can produce more bending power & torque with less flexing of the roll shafts. Less flexing produces rolled parts with less deformation.